Fun fact. Did you know that 'Cockroaches running at over 1 metre (3.28 feet) or 50 body lengths per second transition from the floor to a vertical wall within 75 milliseconds by using their head like a car bumper, mechanically mediating the manoeuvre, '. This was released by researchers at the University of California, Berkeley. 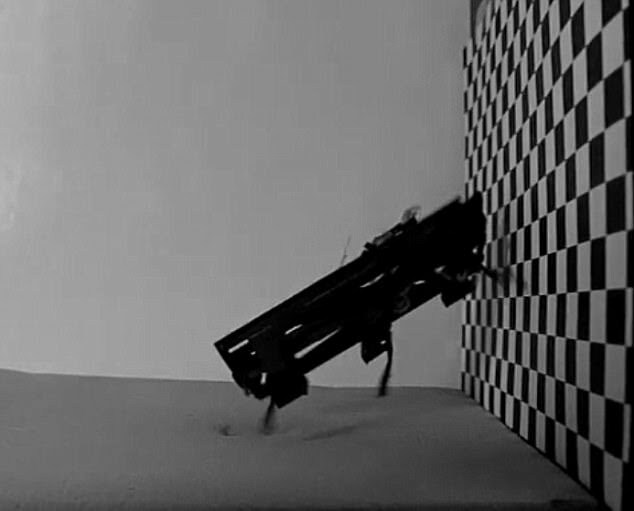 So Inspired by this cockroach movement, the researchers have developed their own model robotic cockroaches. The robot, which is called DASH (Dynamic Autonomous Sprawled Hexapod Robot), consists of a rectangular platform with six legs.It's able to run towards a wall at high-speed, collide and dissipate energy, and bounce back to shift from a horizontal to a vertical position.The researchers suggest that bots that bots below 1 kilogram (2.2 pounds) should be able to use this manoeuvre collision manoeuvre. Furthermore the robot has a similarly tough but flexible exoskeleton compared to cockroaches, and is suited to scurrying rapidly through tightly-packed debris.Its soft legs and articulated shell allow it to compress to more than half its size, so it could squeeze through the narrowest of cracks. This would allow rescue workers to find and reach survivors stuck in confirmed spaces beneath collapsed buildings. Designing the bot was difficult as the researchers studied how the rigid but jointed exoskeletons of cockroaches allow them to invade almost any space. Well this proves that Almighty science and technology can still learn something or 2 from small, disgusting insects like Cockroaches.